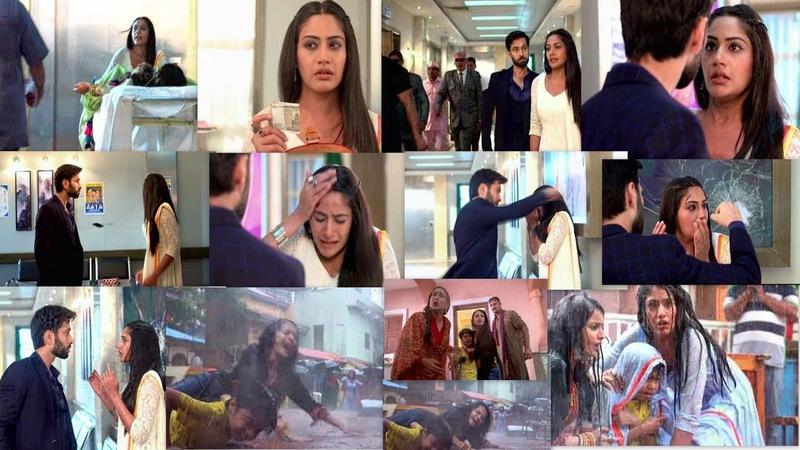 Home ishqbaaaz Ishqbaaaz 27th June 2018 Episode Written Update "Shivaay-Anika's Tashan Shivaay Accuseses Anika"
Ishqbaaaz 27th June 2018 Episode Written Update "Shivaay-Anika's Tashan Shivaay Accuseses Anika"
Priyanka faints, Anika gets shocked and tries to bring her back to senses. Anika calls Khanna, he doesn't answer. She leaves a voice message for Khanna stating she is taking Priyanka to Municipal hospital. Anika rushes her to the hospital. Anika pleads with the doctor to check Anika, he refuses and asks her to be in the queue. Anika fires the doctor, the doctor tells her to pay the fees. Anika gets shocked to know the fee, she gives away her emergency fund for getting Priyanka admitted. Shivaay reaches the hospital with the ambulance. Doctor tells Anika that Priyanka is out of danger. Shivaay comes in front of Anika and starts blaming her. Anika says she fed Priyanka dosa, Shivaay asks Anika what she added in it. Anika says she added cashews, turns out Priyanka has allergy from cashews. Shivaay starts scolding Anika. Shivaay starts blaming Anika for Priyanka's condition, Anika tries to defend herself. Anika gets a call, she tries to cut the call, while answering Shivaay about why Priyanka had come to meet her. Shivaay breaks Anika's phone, which hits her on the forehead and breaks. Shivaay warns her to pay attention to him when he is talking. Shivaay steps on Anika's phone and crushes it. Shivaay says her mother has not taught her manners or mostly her mother had no manners. Anika stops Shivaay and tells him that looks like even his mother has no manners, else she would have taught him how to speak to a girl. 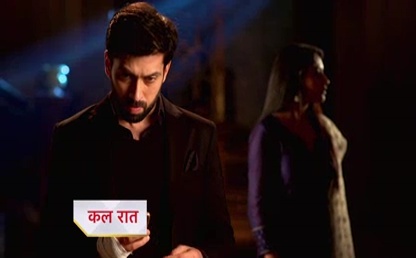 Shivaay gets furious and walks towards Anika, he raises his hand and breaks the glass behind Anika. She gets terrified. Anika's forehead bleeds and drops on the floor, blood flows from Shivaay's hand and mixes up in Anika's. Shivaay says he doesn't hit women and it is a good thing that this is their last meeting. He walks away in anger. Next morning, Priyanka wakes up and asks for Anika. Priyanka supports Anika and says Anika saved her life. Shivaay refuses to listen to her. Priyanka says she has to say thank you to Anika, Shivaay remembers the incidence. Shivaay refuses. He decides not to work for the day, Priyanka advises him to work. Anika returns back depressed and worried. The house owner throws Anika's family and stuff out of the house. Anika gets shocked to see the situation. Anika runs towards Sahil and Gauri and covers them with plastic. Manju Chachi blames Anika. Manju Chachi demands for Anika's emergency fund, Anika says she gave it away. Anika tries to talk to house owner, the lady refuses to listen to Anika. PRECAP : Anika at Oberoi Mansion Khanna is worried what if Shivaay See her.Anika-Shivaay's Hit and Miss.